I have a new giveaway open WORLDWIDE since my other is only for the US. 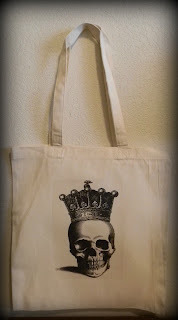 And it's a cute Skull with Crown Tote bag. From my Etsy shop Crimson Hollow. Leave comment for each entry! I like your fb page as Ria Kod. I like Crimson Hollow on facebook. And I hearted C.H. on Etsy (I'm MsRia there). I liked you on facebook. Thanks for the chance. I liked crimson hollow on facebook. 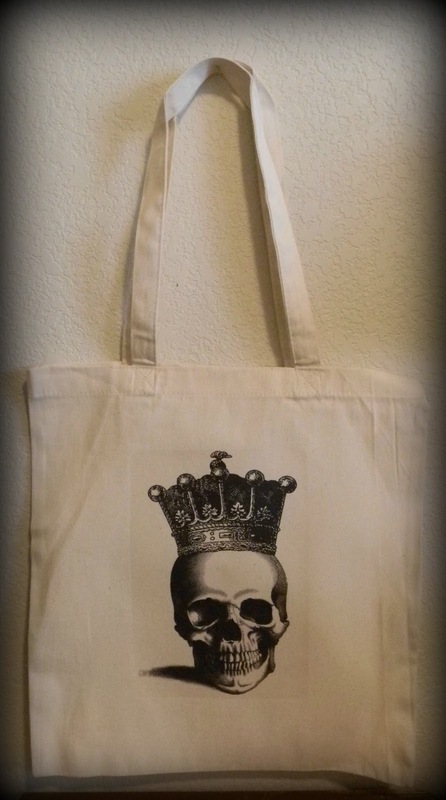 I soooo want this tote!! I heart Crimson Hollow on etsy (MissRebeccaF). I am a new follower, adorable blog, please enter me for this great bag. I have posted your lovely giveaway on my blog. I hearted Crimson Hollow on Etsy, lovely shop. this is one amazing contest!the prize looks so attractive! I follow your blog as disincentive! Does sidebar count as blogging about giveaway? Liked crimson hollow on facebook.